Tischauser Takes South Eastern 3-Gun Championship Victory! 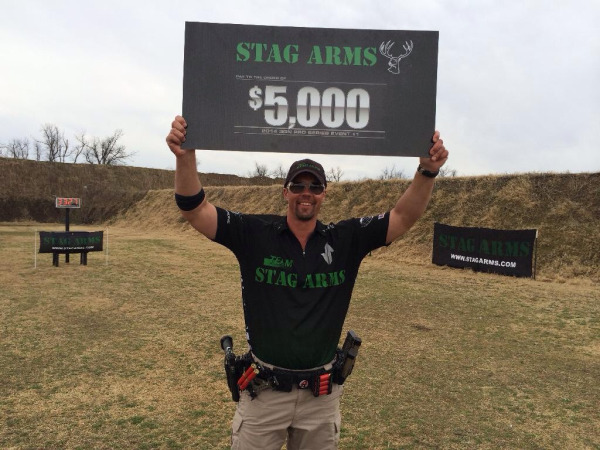 Team Stag Arms' Jesse Tischauser was crowned victorious at the end of the 2013 season by claiming the South Eastern 3-Gun Championship top title. Previously known as the Fort Benning 3-Gun Challenge, the South Eastern 3-Gun Championship was held at The Legion Operator Training Group in Blakely, Georgia. After a two year break, the event was rekindled by both retired and current Army Marksmanship Unit members. 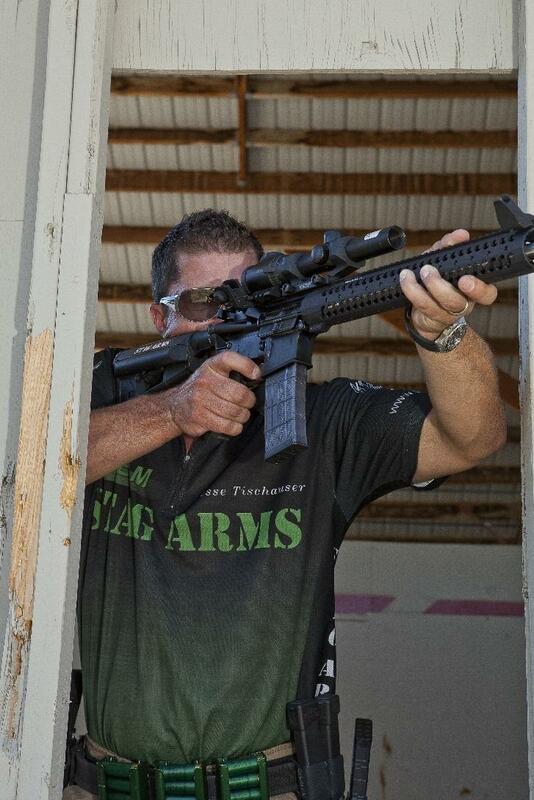 Tischauser Wins US Carbine Association National Championship! 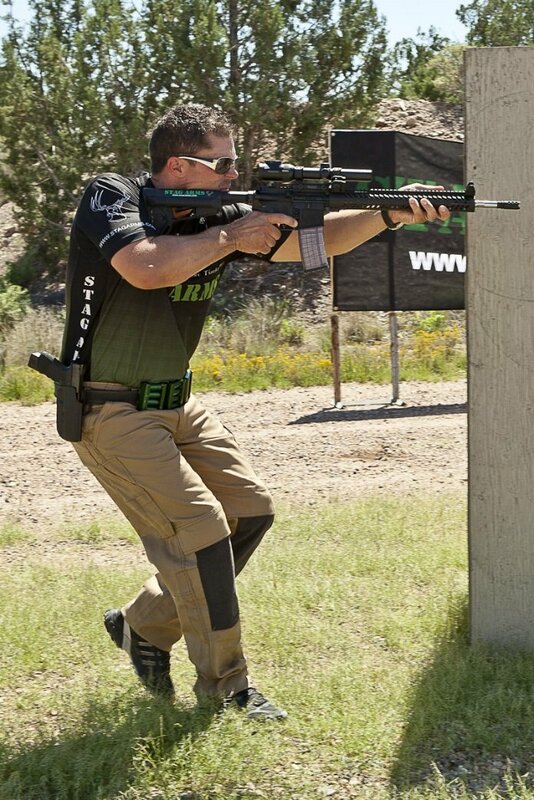 Former Army Staff Sergeant and current Team Stag Arms member, Jesse Tischauser took the overall win shooting out of the equipment restrictive Law Enforcement/Military Division at the 2013 US Carbine Association (USCA) National Championship on November 15-16th, 2013. Tischauser posted the lowest overall match time, 252.47 seconds, with only 10 seconds in penalty points to win the LEO/MIL Division by over 29 seconds. The overall match was decided by much less. Only 5.36 seconds separated Tischauser from the top shooter out of the very competitive Open division. 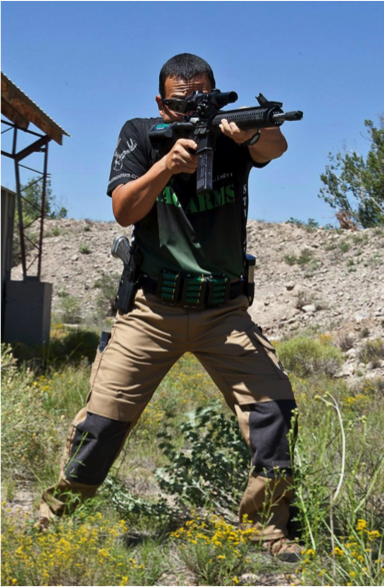 Team Stag Arms member Jesse Tischauser put together his best finish of the season by breaking into the Top Five in the Tactical Optics division this past weekend at the 2013 FNH 3-Gun Championship at the Peacemaker National Training Center in Glengary, WV. Tischauser, fourth out of 290 shooters in the Tactical Optics division, commented "I got a late start to the natural terrain outlaw match season so I didn’t really know what to expect coming into one of the biggest matches in the country. I had a really rough start on my first two stages of the match. Both my pistol and my shotgun went down on the first stage and I had to borrow two of my three guns from a friend to even finish the match. With storms forecast for the final day of the match, shooters were encouraged to shoot an extra stage on day one and two. “After the strong performance on the third stage I was feeling more confident. We rushed over and shot one additional stage before dark. I managed to lay down another top three finish on that stage and left the range feeling that I could lean on my rifle the rest of the match to pull me back into contention,” said Tischauser. Day two featured three stages that included a lot of difficult unsupported and kneeling rifle shooting. “I needed my Model 3G to run and it was flawless as usual. I picked up a bunch of points that second day. That led me to believe a top five finish was in the works as long as I could shoot the last stage of the match well,” stated Tischauser. “The skies were cloudy and rain was moving closer to us on the third and final day of the Championship. Most shooters had only one stage to shoot in order to finish the match. I have to hand it to the Range Officers, Match Director, and Range Master for getting us through all nine stages dry! My last stage of the match included a lot of long range rifle and shotgun shooting. I did not want to have to deal with the elements during that type of precision shooting. We hit the range early and the Range Officers started our squad over an hour prior to our scheduled go time. I shot the stage nearly perfect-putting down another top three stage time while sealing the deal on a fourth place overall finish,” commented Tischauser. Team Stag Arms’ Jesse Tischauser and Kalani Laker shoot their next major match, the Fallen Brethren 3 Gun Championship, October 3rd-5th in Jacksboro, TX. With Laker coming off of a second place finish at the Pro-Am Championship and Tischauser laying down a top performance at Peacemaker, Team Stag Arms is ready to make a run up the leader board in Texas. “I missed the FNH match and Jesse missed the Pro-Am match. With both of us shooting really well this year we are extremely anxious to get back on the range at the same time. When you get the two of us working together on the stages we are going to be tough to beat,” remarked Laker. Stag Arms was founded in 2003 with the goal to manufacture reliable, 100% American made competitively priced Mil-spec AR15’s. Since then, we have quickly become a market leader and one of the largest manufacturers in the United States. 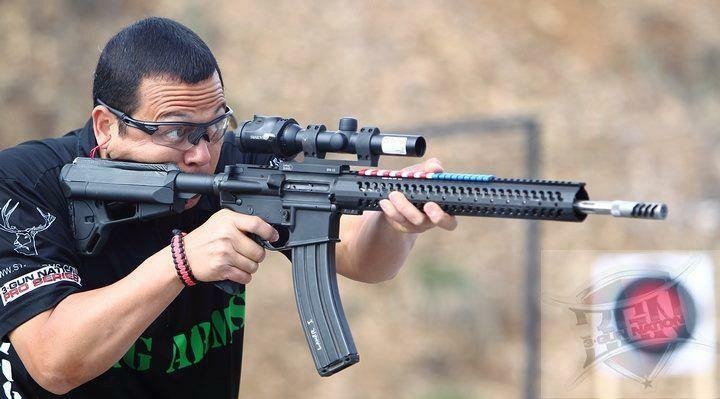 "In the world of Competitive Shooting, the month of August holds the most diversified matches a competitor will find. Long 600 yard shots, courses in complete darkness, and quick speed shoots will test any 3 Gunner in the country to their limits. I was the only shooter in the nation to stay in the Top 5 at all 3 Major Matches in ultra competitive Tactical Optics Division. The first match was in New Mexico at the famous NRA Whittington Center.